Matthew Horace was an officer at the federal, state, and local level for 28 years working in every state in the country. Yet it was after seven years of service when Horace found himself face-down on the ground with a gun pointed at his head by a white fellow officer, that he fully understood the racism seething within America's police departments. 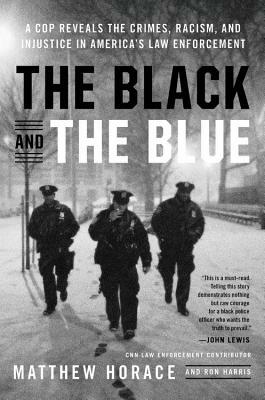 Using gut-wrenching reportage, on-the-ground research, and personal accounts garnered by interviews with police and government officials around the country, Horace presents an insider's examination of police tactics, which he concludes is an "archaic system" built on "toxic brotherhood." Horace dissects some of the nation's most highly publicized police shootings and communities highlighted in the Black Lives Matter movement and beyond to explain how these systems and tactics have had detrimental outcomes to the people they serve. Horace provides fresh analysis on communities experiencing the high killing and imprisonment rates due to racist policing such as Ferguson, New Orleans, Baltimore, and Chicago from a law enforcement point of view and uncovers what has sown the seeds of violence. Matthew Horace is a law enforcement and security contributor to CNN and The Wall Street Journal, and an internationally-recognized leadership expert in the field. Ron Harris is a former reporter and editor for the Los Angeles Times and the St. Louis Post-Dispatch. Currently, he is a professor at Howard University. racism, prejudices, biases and the lethal "cops don't tell on cops"
shootings that capture headlines and snuff out lives all over America.